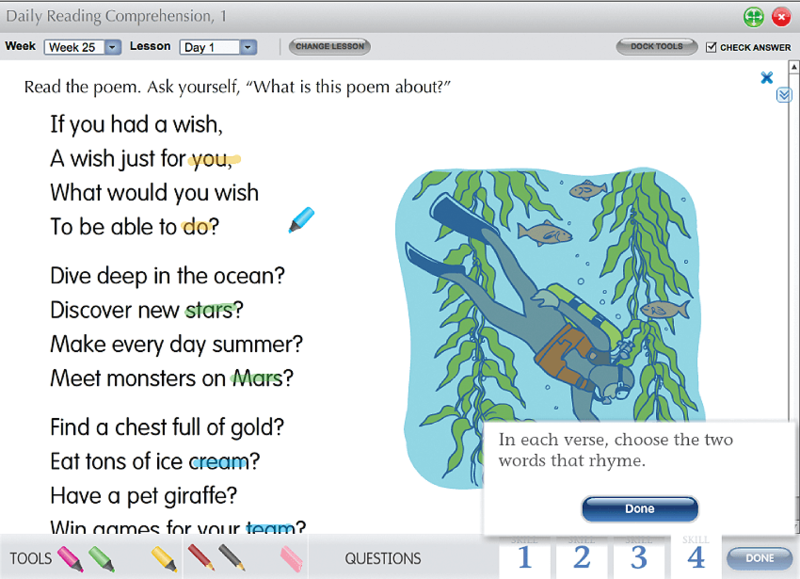 Improve comprehension and technology literacy skills! 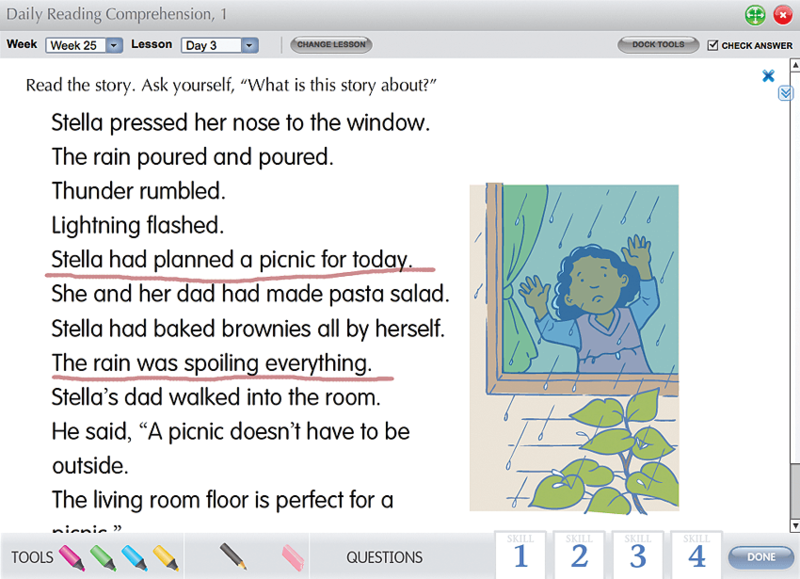 Interactive lessons teach key reading comprehension skills and strategies, using tools and tasks found on online tests. 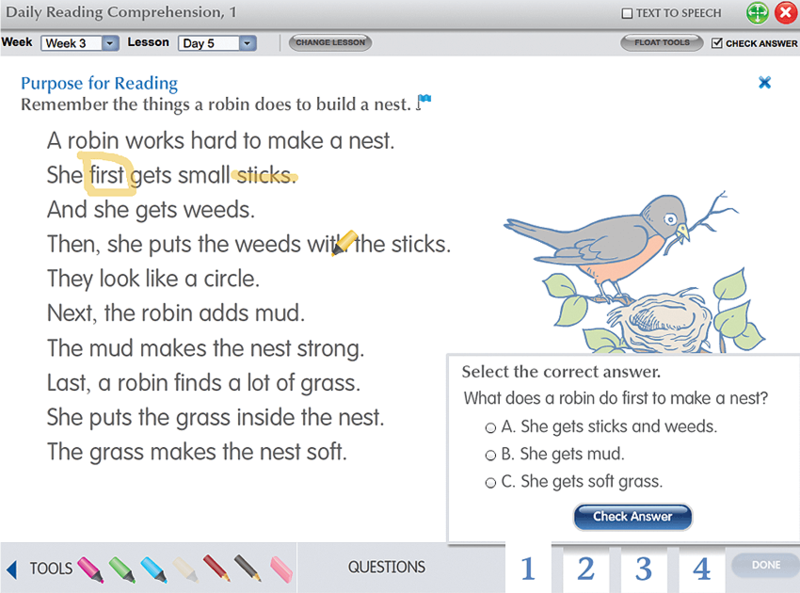 Improve comprehension and technology literacy skills! 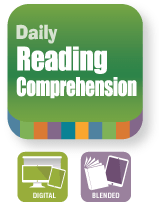 Interactive lessons teach key reading comprehension skills and strategies. 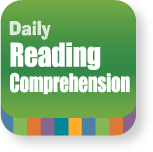 Students apply comprehension skills and strategies to 150 fiction and nonfiction passages. 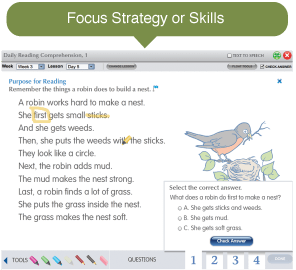 Each passage includes a pre-reading skill or strategy to focus students, an open-ended question to apply the strategy, plus four follow-up questions. 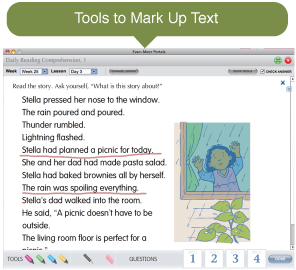 Interactive tools include using highlighting and text tools to mark up the passages and respond to questions. 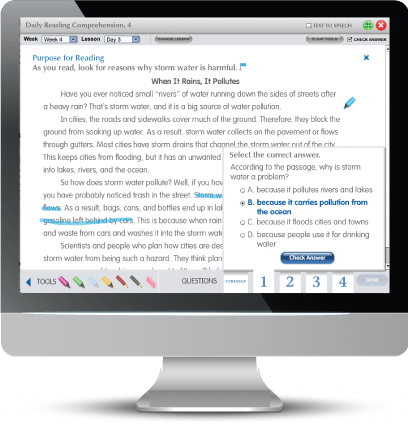 Courseware includes an instructional path, scope and sequence, skills list, and detailed correlations.